Panasonic P81 is the latest offering from Panasonic with just 7.5mm thickness. The P-81 comes with some top specifications out of the box at very reasonable price. The P81 runs on Android 4.2.2 Jelly bean with PLAY LIFE User Interface. It features gestures control, Play more, Smart ringer, Smart App switch, Drive bug free and Music cafe. The Panasonic P-81 is powered by 1.7GHz true 8-core CPU integrated with 1GB of RAM. The P81 has 8GB of ROM and 2500 mAh battery. The handset can record and play FHD videos. There is Proximity Sensor, G-sensor and Light sensor for better user experience. The Phone has 13-megapixel primary camera with f2.2 (28mm wide angle lens ) and 2MP secondary camera. The 5.5 inch IPS display comes with a resolution of 1280 x 720 pixels. The P81 takes two Micro Sim cards. 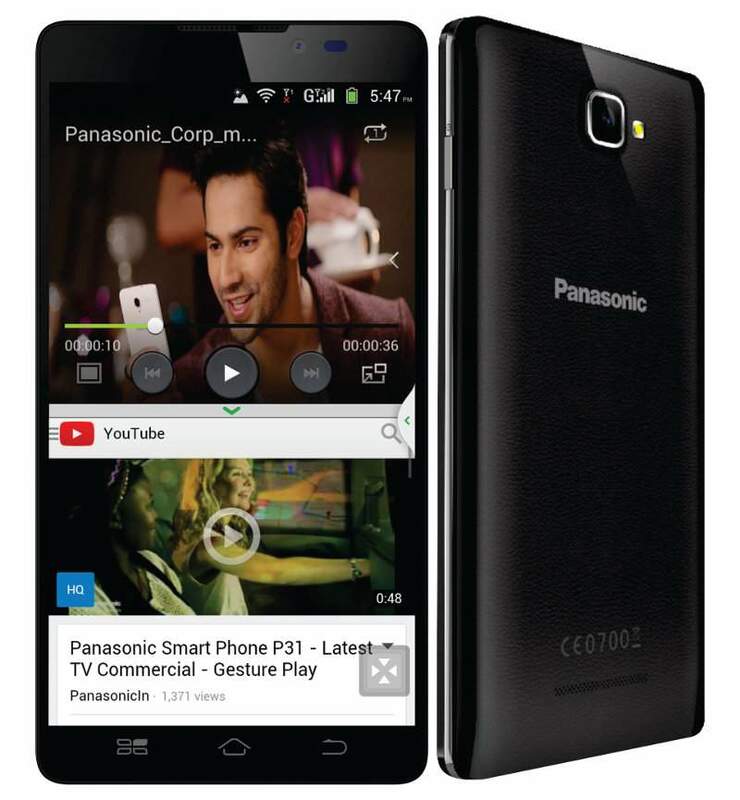 The Panasonic P81 is priced at RS 13,980. You can buy it online from Flipkart ( Lowest price in India ) , Snapdeal and Amazon.in.